Recently, I was bitten by the nostalgic retro bug and decided to pick up the 8BITDO SFC30 Gamepad, a wireless Super Famicom controller that works with iOS, Android, Windows & Mac OS. Below is my bitesize review of the product. From the packaging itself, you can probably guess that this is going to be a well made product. The SFC30 Gamepad sits nicely between by 2 protective foams. 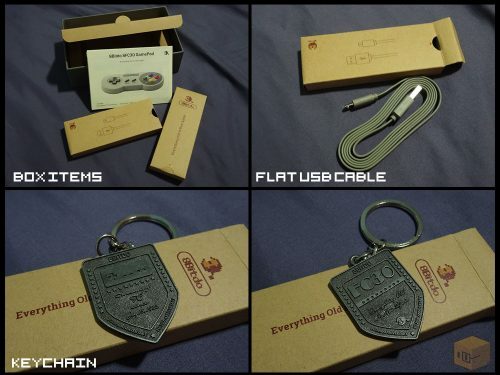 Below it is a box containing the instruction booklet (in both English and Mandarin), a flat USB cable and a 30th Anniversary keychain. Color me impressed. It has been over 20 years since I held an actual Super Famicom or Super Nintendo gamepad (yes, I’m pretty old) so I can’t really make a direct comparison between the SFC30 and the original. Holding the SFC30 Gamepad in my hands, it felt really good and sturdy with none of those cheap plastic feeling. 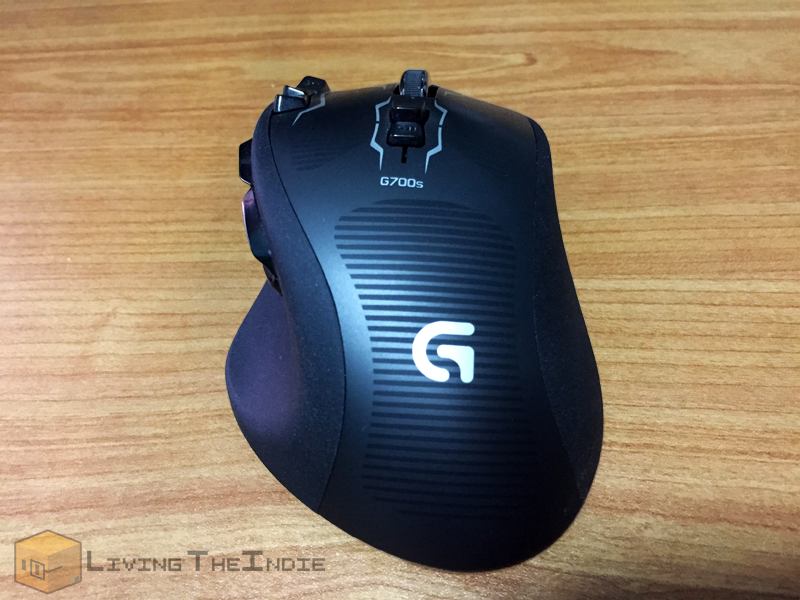 Buttons have that nice ‘clicky’ sound and doesn’t feel mushy. The D-Pad however feels a tad too stiff for me. Not a deal breaker but would be nice if it was softer. You have a choice between Bluetooth and wires USB connectivity. At the point of this writing, I’ve only tried connecting it to my PC via Bluetooth and it was up and running within minutes. As far as I can tell, there wasn’t any noticeable lag. Playing Contra 3 on the SNES (via emulation) felt really good, granted I died a lot. Geez I totally forgot how hard that game was. I don’t have an exact measurement but the gamepad is still running since its first charge, clocking about 10 hours of gameplay in total. Considering how light the SFC30 was, I wasn’t expecting much from the battery life but this is a nice surprise. I heard it’s possible to get 20 hours of play time out of a single charge. Wow! When I first ordered the SFC30 Gamepad, my expectations weren’t much. When it comes to 3rd party retro gaming products, more than often the build quality doesn’t live up to the original. This product however, went beyond my expectations and blew it out the window. If you looking to get into retro gaming, look no further. I would assume the same build quality applies to all other 8BITDO products. Hmm … wonder when will I get bitten by the retro Sega bug? If you are looking to buy the SFC30 or any other gaming related products, check out the links below. Each time you buy from them, you will be helping out the site, in return I will be able to bring in more product reviews in the future. I picked up the SFC30 from Play-Asia, a popular online game store located in Hong Kong. 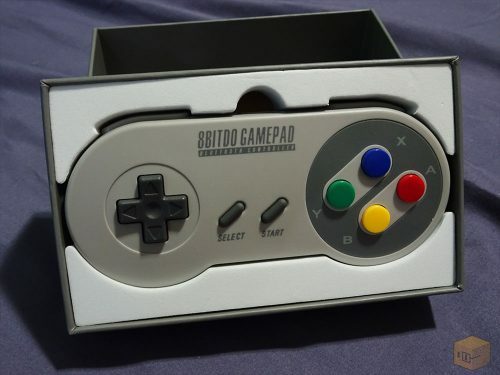 This is a nifty product that allows you to connect and play on your SNES or Super Famicom system wirelessly using PS4, PS3, Wii Remote, Wii U Pro and all 8bitdo controllers. Over the years of owning portable game consoles (from DS / PSP to 3DS / Vita), Hori will always be my first choice when it comes to accessories. While I do admit that their products are a little high on the price side, their quality outweighs it. Just make sure that the Hori products you get are authentic ones. There are a lot of fakes out there. For my New 3DS (n3DS for short), I went ahead and purchase the Zero Air Pitahari Filter. 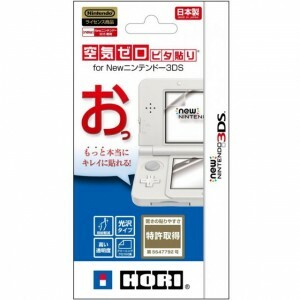 The difference between this and other Hori screen protectors is that small dirt particles doesn’t cause air bubbles to appear. Having said that, you would probably presume the price would be higher compared to regular protectors due to its ‘tech’. Surprisingly, Zero Air is actually cheaper compared to Hori’s Standard Film screen protector. Go figure. I really have to give credit to Hori for coming out with ingenious ways to apply screen protectors. Just take a look at the video below and you will see what I mean. *Sigh* if only such methods were available during the DS / PSP days. I remember going through 3 screen protectors while applying them on my PSP. Either it was misaligned or there are dust particles beneath it. Overall, I’m satisfied with the Zero Air Pitahari Filter. It was easy to apply, there’s no loss in screen quality and there are no ‘rainbow’ effects from all viewing angles. The only negative point I can think of is that, once it’s applied onto your screen, it is pretty much ‘glued’ onto it. I personally had trouble peeling the bottom screen portion off to get rid of dust particles. To avoid this problem, just make sure the screen is dust free before applying the protector. If you are looking for more Hori accessories, do check out Play-Asia.com. It’s one of the few places I know that sells authentic Hori products. Been buying from them since 2008.